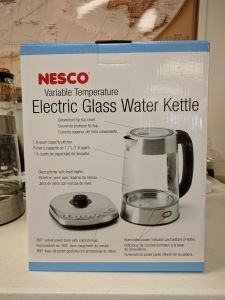 Nesco’s Variable Temperature Electric Water Kettle boils faster than a microwave and uses about half the energy of a stovetop. 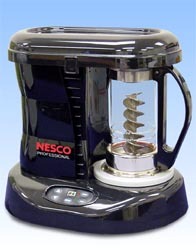 1500 watts quickly heats water for pour over coffee or tea. 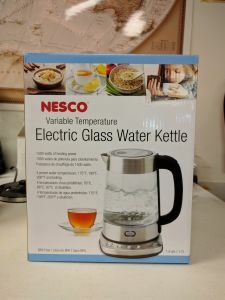 Nesco’s Variable Temperature Electric Water Kettle boils faster than a microwave and uses about half the energy of a stovetop. 1500 watts quickly heats water for instant coffee and soups, tea or hot cocoa, rice or pasta, blanching vegetables, instant oatmeal or gelatin. 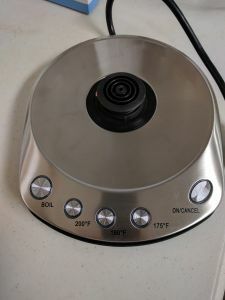 The concealed heating element is contained in the stainless steel base with built-in cord storage. Kettle detaches from the base for ease in serving. The water filter is removable and washable for convenience. 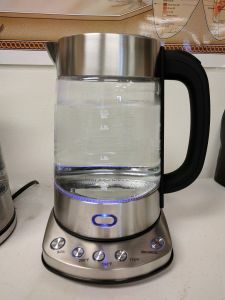 Additional features include: water level indicator, illuminated power indicator, boil-dry protection, stay cool handle and drip-free pouring spout. Easy to clean as well as one touch on / off switch. 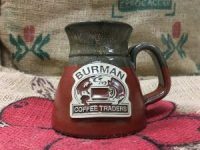 1.8 quart capacity.